The electric heating is from now on, one of the most thrifty ways and one of the most environment-friendly to warm, but the esthetics, the design and the originality are not still there according to the budget we have. It is difficult to reconcile passion of decoration and heaters in many cases! It is the bet that the Chemin’Arte team took a few years ago: to propose electric heating equipments which can combine quality and performance in a real esthetic approach and even much more: in the customization. The heater, the radiator or the fireplace, becomes an element of decoration, an artistic work or an object of exception. Choosing a design for its radiator, a flame color for its fireplace, Chemin’Arte products join fashion and allow to reach attractive dreams of decoration for a very reasonable budget. The design yes, but with the quality and the safety. The customization yes, but with affordable prices. A good product yes, but with a good team that is listening to you. These three assertions are the red wire of Chemin’Arte, its DNA and the constant concern of our team. 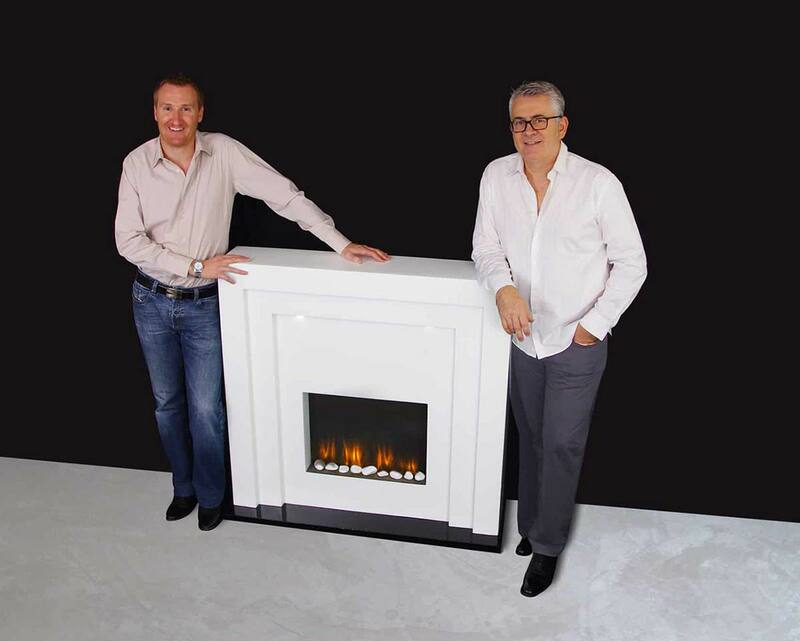 Our products are sold on the Internet and referenced in very identified points of sale, what allows us to propose our heaters and fireplaces at a very affordable price. We also chose to settle the company with our customer service in the heart of France in “Ardeche”, where we work to return to our customers an expert and irreproachable after-sales service. It is important all the more for all of you who buy on the Internet: if necessary, you can count on us. Everything began with a simple but original idea: create design and innovative products by allying performance and aestheticism. Here is the objective that settled in 2008 Yvan GOUY PAILLIER and Eric CHAMOUX by creating the EFYDIS company. The adventure begins with the development of modern looking electric fireplaces then in 2010 both partners decide to widen their range of products by proposing the O’FRESH outdoor misting cooler. It is only in 2011 that the customizable decorative heaters are born and join Chemin’Arte. Since then, Eric and Yvan made of the way and met the challenge to propose and transform technical products into objects of decoration. To bring to a successful conclusion their mission and be as closely as possible to customer expectations, both entrepreneurs knew how to surround themselves with a team that is listening to you. The company counts now among her 8 sales representative, an after sale service technician and a graphic designer to continue to innovate and to propose the products at your image.